It’s that time of year again! The time when we celebrate our love of friends and family with holiday parties and presents. Alternately, it’s that time of year we end up with a bunch of stuff we don’t need. 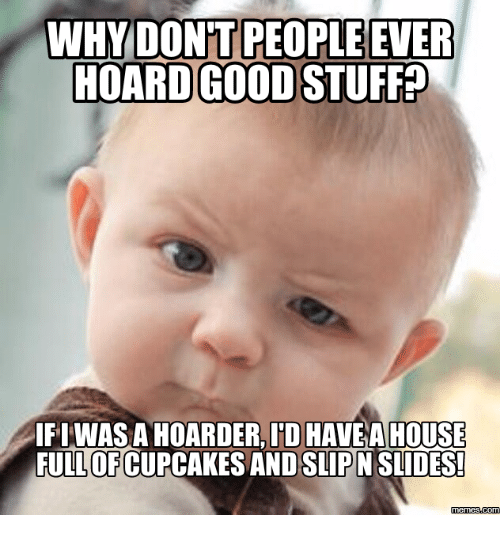 Do you often find yourself thinking “I need more stuff!”? I think more commonly we rack our brains to come up with gift ideas for our loved ones so we don’t end up with another ugly sweater that we never wear or that funny back scratcher that we didn’t need. Allow me to tell you a brief story. When I was 15, there was a fire in my house and I lost almost all of my personal possessions. Photos, that dolphin stuffed animal that my first boyfriend gave me, my favorite pear of blue hibiscus print PJs, all the stuff, gone. Here’s the thing though, there was so much stuff in that room that disappeared in a puff of smoke, and yet, I can still remember most of it quite clearly. Stuff can be gone in an instant, but memories can last for a lifetime! So while most of us have plenty of stuff, we all have room for more memories! This year, give your loved ones a gift that keeps on giving, a memory to last a lifetime. Goat Yoga: Gift certificates for goat yoga classes in 2019. Good for the animal lovers in your life. Thai Yoga Bodywork Workshop: Register together for a joint experience of peace and relaxation. January 5th from 2pm – 4pm. SUP Yoga Classes: Let your loved one enjoy a little taste of summer with Tuesday evening paddleboard yoga classes. Great for promoting strength, balance, and relaxation. Private Thai Yoga Bodywork Session: Great for folks who are looking to start a yoga practice or folks who need a little more relaxation and stretching in their lives. Sinful Kitchen Get a gift certificate and eat here! You won’t regret it! Portland Paddle Sign up for one of the summer SUP Yoga sessions or buy a gift certificate. Vidya-Samyogah Join one of the amazing webinars or check out Prem’s books! Wise minds. Big hearts. Check out Erica’s new book on mindfulness in the 4th trimester.